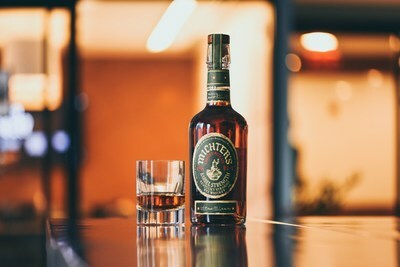 LOUISVILLE, Kentucky, March 20, 2019 /PRNewswire/ -- The Louisville based distiller will be releasing its Michter's US*1 Barrel Strength Kentucky Straight Rye Whiskey this April 2019. Michter's Master Distiller Pamela Heilmann is clearly excited. She observed, "Since I joined Michter's, I've developed a greater appreciation of how good American Rye can be. I think this US*1 Barrel Strength Rye is really exceptional." Michter's Master of Maturation Andrea Wilson shared Pam's enthusiasm for the release, noting, "The increased corn and malted barley used in the rye recipe really allows the barrel to transform the product into a super smooth, rich and complex rye whiskey with an elegance on the palate." Michter's US*1 Barrel Strength Rye is a single barrel product, and the average proof of the barrels in this April 2019 release is 110.8 proof. The suggested retail price in the United States is $75 for a 750ml bottle. According to Michter's President Joseph J. Magliocco, the idea to offer a barrel strength rye came from tasting different barrel samples at the distillery. "We would be sampling barrels of Michter's US*1 Single Barrel Rye before putting them to bottling proof, and people would say, 'Wow! This is really good,'" said Magliocco. Michter's has a rich and long legacy of offering traditional American whiskeys of uncompromising quality. With each of its limited production offerings aged to its peak maturity, Michter's highly acclaimed portfolio includes bourbon, rye, sour mash whiskey, and American whiskey. In November 2018, a single bottle of Michter's Bourbon sold at a charity auction for over $17,000. in January 2019, Michter's was named the #1 Top Trending American Whiskey brand by Drinks International in their Annual Brands Report. The selection of Michter's US*1 Sour Mash by The Whisky Exchange as its 2019 Whisky of the Year marked the first time that a whiskey from the United States had achieved that honor. In addition to Michter's Fort Nelson Distillery, which just opened to the public, the company has Michter's Shively Distillery in Louisville as well as its 145-acre farm and operations in Springfield, Kentucky. For more information, please visit www.michters.com, and follow us on Instagram, Facebook, and Twitter.